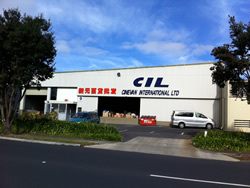 CINEVAN INTERNATIONAL LTD, located in 9 Greenmount Driver, East tamaki,Auckland,NZ is a large well-known wholesale company offering large amount of products varieties within warehouse storage. CIL's wide range of products cover you head to toes. Umbrellas and a large-scale supply of $2 items. Welcome to CIL where satisfication is always guaranteed! Copyright © 2011 CIL Imports Ltd.